It all sounded so high and mighty: the liberal Princeton Seminary was going to award its Kuyper Prize to a conservative pastor, despite his Calvinist theology. The Kuyper Prize for Excellence in Reformed Theology and Public Witness is awarded each year to someone whose contribution “reflects the ideas and values of the Calvinist vision of religious engagement in matters of social, political, and cultural significance” according to The Layman. While my office issues the official invitations to campus, I don’t practice censorship over the choices of these organizations, even when I or the seminary disagrees over some of the convictions of these speakers. It is also a core conviction of our seminary to be a serious academic institution that will sometimes bring controversial speakers to campus because we refuse to exclude voices within the Church. Diversity of theological thought and practice has long been a hallmark of our school. And so we have had a wide variety of featured speakers on campus including [some] who come from traditions that do not ordain women or LGBTQ [lesbian, gay, bisexual, transgender, queer/questioning] individuals, such as many wings of the Protestant Church, and bishops of the Orthodox and Roman Catholic communions. If Barnes thought that would soothe the alumni into submission, he was wrong. The pushback was immediate and loud. It didn’t matter that Keller is one of the most popular pastors in the country, or that he obtained his M.Div. from Gordon-Conwell Theological Seminary, or his D.Min. from Westminster Theological Seminary. It didn’t matter that some call him “the most successful Christian Evangelist” in the city, or that Redeemer is “one of Manhattan’s most vital congregations.” It didn’t matter that some describe Keller as a “C.S. Lewis for the 21st Century.” It didn’t matter that Redeemer founded Hope for New York, a non-profit that sends volunteers and grants to more than 40 faith-based ministries throughout the city. It didn’t matter that Redeemer trains and funds pastors through its Center for Faith and Work. It didn’t matter that Keller co-founded The Gospel Coalition, a group of Reformed leaders from around the country. It didn’t matter that, starting with just 50 attendees his church now successfully serves more than 5,000 mostly young urban professionals, many single, in an increasingly secular culture. It didn’t matter that the PCUSA has been losing members for decades while the PCA was growing. It didn’t matter that Keller had successfully built a church of young, up-and-coming professionals into a mega-church of believers at the very time the PCUSA was struggling. Rev. Keller is arguably the most influential pastor of a denomination that is very clear in its assertion that women should not be ordained to ministry. He (and the denomination he serves) is also very clear in its exclusion of LGBT people. 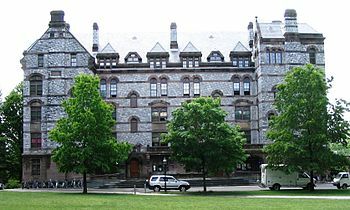 My personal soapbox … boils down to this: an institution [Princeton] designed to train men and women for ministry shouldn’t be awarding fancy prizes to someone who believes [that] half the student body (or is it more than half?) has no business leading churches. It’s offensive and, as I have taught my four- and five-year-olds to express, it hurts my feelings. [I’m] very disappointed with my alma mater for awarding the Kuyper prize to Tim Keller, who denies the full equality of women and men. It’s hard to see this move by Princeton as anything other than pandering to conservatives in hope of generating enrollment…. I hope that the faculty will not give Keller an easy time of it, at least, and thereby retain some dignity. In these difficult days … I hope that my denomination would stand up for women, loud and clear. Instead we are honoring and celebrating a man who has championed toxic theology for decades. In talking with those who are deeply concerned about Reverend Keller’s visit to campus, I find that most share this commitment to academic freedom. Yet many regard the Kuyper prize as an affirmation of Reverend Keller’s belief that women and LGBTQ persons should not be ordained. He didn’t want to offend, and so, without an anchor to windward, he allowed the noisy protesters to override his decision to invite Keller to his campus, saying that it would “imply an endorsement” of his theology. That’s the trouble with not having a firm anchor in the Scriptures: any little breeze can blow a fellow off course. Barnes caved, further besmirching the reputation of what once was, many generations ago, the College of New Jersey, dedicated to teaching the Gospel to men like John Witherspoon, a signer of the Declaration of Independence. This entry was posted	on Saturday, March 25th, 2017 at 6:22 am	and is filed under Religion. You can follow any responses to this entry through the RSS 2.0 feed. You can leave a response, or trackback from your own site.